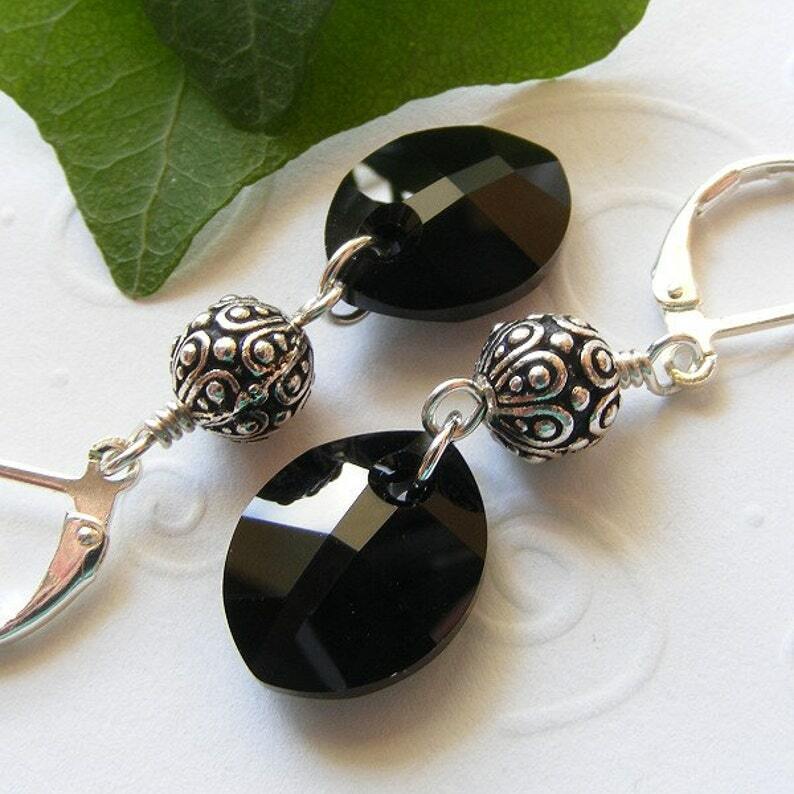 These beautiful earrings feature 'Pure Leaf' drops from Swarovski Crystal in classic Jet Black. They're paired with decorative antique-silver 'Casbah' beads from TierraCast. The sterling silver leverbacks make them comfortable and secure. With a flattering oval shape and a color that goes with everything, these make a great complement to your wardrobe! Length: 1-1/8 inches excluding ear wire; 1-3/4 inches including the ear wire.